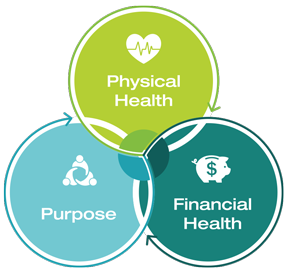 PURE was founded with a passionate purpose: to provide you with safe, effective, top-of-the-line products to support your personal health goals. We are devoted to empower others to become the best versions of themselves. Everything must start with a strong foundation, including our bodies. PURE has a simple solution for getting started. It’s called CORE4 and includes HealthTrim® Cleanse, GoYin, Daily Build and ENERGY. Set the stage for optimal wellness fuel your body with key nutrients needed to maximize you! Together, CORE4 helps set the stage for optimal wellness. Then, support your body's individual needs with our comprehensive product line to meet your personal wellness goals. Set the stage for optimal health with a gentle detox. Rid your body of unwanted toxins with our non-fasting strong HealthTrim Cleanse. Adapt to everyday stressors with GoYin's powerful blend of superfruits and herbs clinically proven to increase feelings of vigor and well-being. Fill your nutritional gaps and protect your body from free radical damage with the rapid delivery of vitamins minerals and antioxidants in strong Daily Build.